A simple mould which is filled with the soil under test for Soil Testing - This is then dried and the resulting decrease os length of the specimen measured is expressed as the linear shrinkage. It is 25mm Dia. 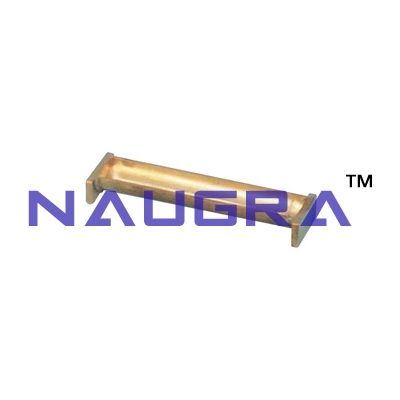 x 12.5mm Height x 140mm Length..
We are leading manufacturers, suppliers & exporters of Linear Shrinkage Mould For Testing Lab for Soil Testing Lab. Contact us to get high quality designed Linear Shrinkage Mould For Testing Lab for Soil Testing Lab for schools, colleges, universities, research labs, laboratories and various industries. We accept bulk orders for government tenders in all countries around the globe.